New regulations, tax changes,stamp duty surcharge, cap on mortgage interest relief & tighter lending for buy to let borrowers & portfolio landlords are changing the investing landscape. The informed and savvy investors who are clued up on their obligations and the new changes will continue to thrive & prosper while the amateur investors will get left behind. Here are some important changes on the horizon that every property investor and landlord needs to be aware of to maximise profit & stay in the game. 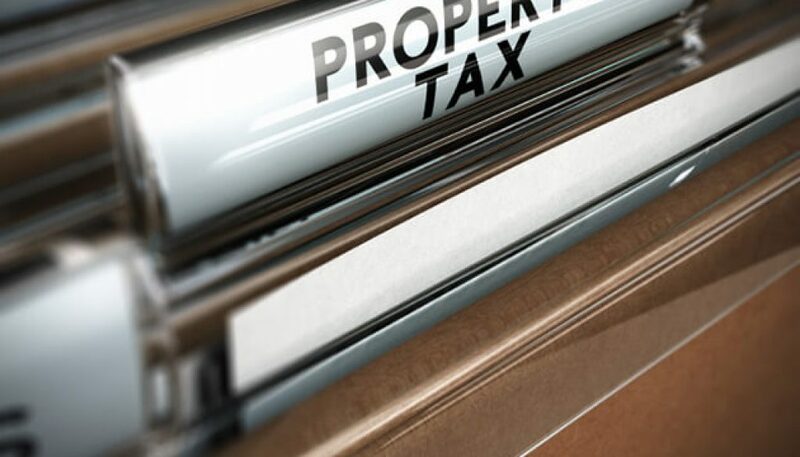 Already in motion, landlords who own property personally who are higher tax payers can not deduct their full mortgage interest costs from their rental income when calculating their income tax bill. Being introduced gradually the effect of this is that by 2021. These landlords will only be able to offset around 50% of their mortgage interest against rent. This change may even push basic create tax payers into the higher rate bracket thus making them liable. Of course, there are ways around this but its important to note not to make any knee-jerk changes as the changes will depend largely on your individual circumstances. If you’re worried about investing or not sure how these changes will affect you, it will be a good idea to talk to a accountant who has property experience. Let me know in the comments below and I can recommend a great one who has experience in this sector. Although the Immigration Act & the right to rent have been in practice for over a year, the new penalty for any breaches (which amount to a criminal offence) is now unlimited and or 5 years imprisonment. You will also likely receive a £3000 civil penalty for the breach too. There is also a new ground for possession (7B) & a ‘Prescribed form’ of notice for the purposes of section 33D(3) of the Immigration Act 2014 where you have been notified to terminate a tenancy of a tenant who does not have the Right to Rent. Usually checking passports or their current Visa before the tenancy is signed will amount to suffiecient checks. If you outsource this to your letting agent, make sure they are fully vetted and competent & up-to-date with all the landlord changes otherwise you as the landlord could face a fine of £3000. Landlords from 2018 will need to ensure their rental units meet the new Minimum Energy Efficiency Standards to legally rent out their property. They will also need to have an minimum energy performance certificate rating of E or face the risk of £4000 fine for non compliant breaches. If you’re concerned about the energy rating of your property, seek to get an up to date EPC assessment of your rental property and remedy any changes to improve the energy efficiency of the property. From the end of September, mortgage lenders will have to implement new changes in the way in which buy to let mortgage applications are underwritten for portfolio landlords, and carry out affordability checks to ensure you’re not over-exposed and to stress-test background portfolios. A ‘portfolio landlord’ is defined as a borrower who owns four or more distinctly buy-to-let mortgaged properties, either together or separately, in aggregate. In simplistic terms, if 4 of your properties are generating enough rent to cover the debt, but one property is negative, or not performing as good, your mortgage application may not be approved by some lenders. They will take into account the total mortgage borrowing across all rental units, any liabilities including tax, historical and future cash flow from your portfolio, and your income both from property and non-property sources. To make it easier to apply for a new mortgage once these rules kick in, its a good idea to keep an up to date property portfolio spreadsheet, a business plan, cashflow forecasts, your last three bank statements, SA302’s, AST’s (PnL) & submitted tax returns. Rogue landlords and letting agents may be subject to banning orders and their details entered into a local authority database. Landlords can recover abandoned premises without a court order provided that they serve various warning notices. Local authorities can access tenancy deposit information. This will enable them to take enforcement action where a property is unlawfully let as a house in multiple occupation. The Secretary of State can make regulations imposing duties on a private landlord of residential premises in England to ensure that electrical safety standards are met. The Secretary of State can make regulations requiring property agents to be members of a client money protection scheme. Although the above will deter rogue landlords from entering the private rental sector, local authorities have introduced ways of finding out identities of landlords by carrying out spot checks in the form of licensing schemes as discussed below. Landlords will only be allowed to deduct the costs they actually incur for replacing furnishings in their rental property. The previous 10% Wear and Tear Allowance used to allow landlords to reduce the tax they paid regardless or not of they replaced the furnishings in their property. This relief will apply respective of whether landlords let their properties on part furnished or a fully furnished basis. An important point to note is the relief will only cover replace existing furnishings – landlords cannot claim for the initial purchase of furnishings for a new property. If the landlord decides to sell an item being replaced, the sale of the item must be deducted from the purchase price of the replacement and tax relief can only be claimed on the balance. Also, if you decide to replace the existing item and it clearly is an improvement on what was there before (replacing a washing machine to a washer dryer) then only the cost of a like-for-like replacement can be claimed. The new Prudential Regulation Authority (PRA) rules which came in earlier this year meant lenders should stress test all new BTL mortgages at a notional rate of 5.5%. Other measures included looking more closely at your outgoing such as living costs, credit card commitments, NI payments, tax paid, and will even take account of the equity to used as security. This led most lenders to raise their rental income requirements to 145% from the market norms of 125%. However, some lenders have adopted a bespoke approach to the calculation of its interest coverage ratio (ICR) for buy-to-let mortgage applicants to avoid penalising non-higher rate tax rate payers and not impose the 145% ICR. If you fall within the parameters of the new affordability rules, the lender may require you to put a larger deposit in so getting a good deal with a high yield will be even more important to obtain the maximum loan to value. Note: this rules along with the new changes for portfolio landlords does not apply to properties held in a limited company structure. There are many councils around the UK who have introduced ‘selective licensing’ requirements in their area. These would be area dependant and would require landlords to agree to management rules to keep the property in a uniform agreed standard otherwise get fined for failing to implement changes required. Further, although it has not come into force just yet, there is scope to extend the scope of mandatory HMO licensing to any property which has 5 or more people over 2 or more households. There is likely to be a grace period of 6 months once the legislation is introduced but any landlords who haven’t sorted out their licensing requirements when the period was to run out could face civi penalty up to £30.000 and criminal prosecution. The new HMO regulations which has amendments to schedule 4 of the Housing Act 2004 states new rooms size must be a minimum of 6.52 square meters for one person. If a room has been let out for sleeping and doesn’t meet the minimum standard the landlord would be in breach and commit an offence to an unlimited fine or a financial penalty of up to £30,000. This rule would not be breached by temporary arrangements such as visitors sleeping overnight and would probably be treated as someone not occupying the room. Already landlords are getting concerned about what they can do if they already have a room which is on the borders of being acceptable, especially if there are large communal areas to take into account. Although these have been around since 2015 many self managing landlords are not aware of the complexity of the new process. These were brought in for landlords to follow the rules around eviction more closely. Such as, using a ‘prescribed’ form of section 21, (i.e. it must contain certain information for it to be valid). Previously it was sufficient if the notice was in writing. Also, the notice now cannot be served on the tenant during the first four months of a fixed term tenancy (i.e. a tenancy that gives the tenant a minimum of six months in the property) and the new Deregulation Act which was introduced to stop ‘Retaliatory Eviction’ – i.e. where tenants complain to their landlords about disrepair to the property and they are then served with a Notice Seeking Possession (section 21 notice). Questions, comments and debate please!